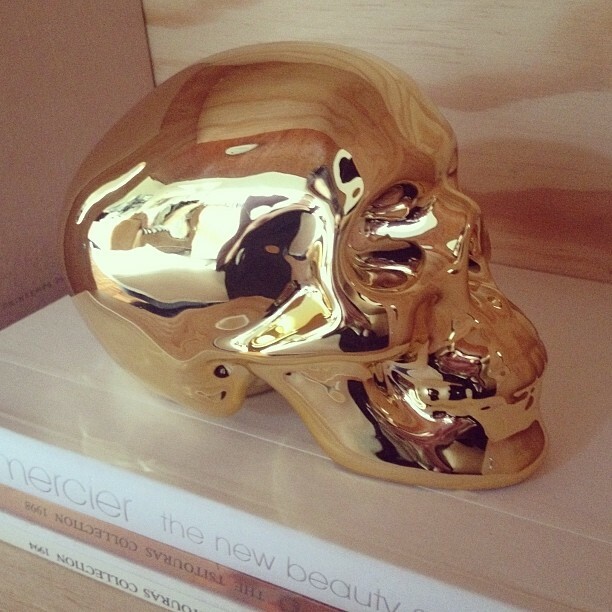 I found the most amazing gold “money box” skull the other day, and I tell you, this little guy has sparked a whole lot of obsessiveness in the decor dreaming department. I am a bit OCD with that sort of thing. Once I have an idea, or see something that I like, then I become obsessed with making it “work”! Pinterest also doesn’t make things easier, since it’s filled with even more ideas to keep the OCD fire burning, and all through the wee hours of the morning. Anyhoo, back to the skull, whom we shall call Frank. Right now Frank is moving around from desk to coffee table, to side table to shelf. He’s sort of a nomad, since I haven’t found a permanent residence for him just yet. I think that Frank needs more “gold friends”. 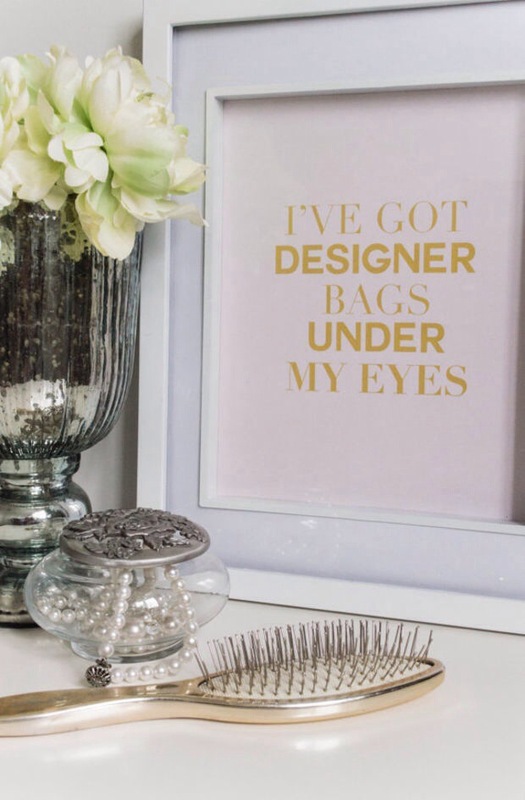 Not in the ghastly, ornate, gahhh-lld kinda way, but you know in a more minamalistic, sleek and simple kind of way, and I think Typography prints (another obsession) would do the trick. 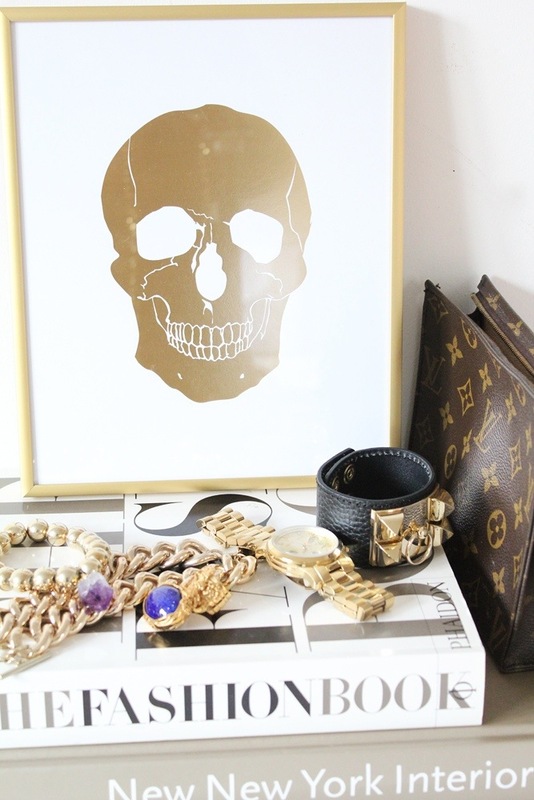 Perhaps a gallery wall or wall of frames with a few gold foil prints and gold paintings, set against white or black backgrounds with a mix of black frames, white frames – and maybe even one gold frame to pull it all together – would make Frank a happy head. 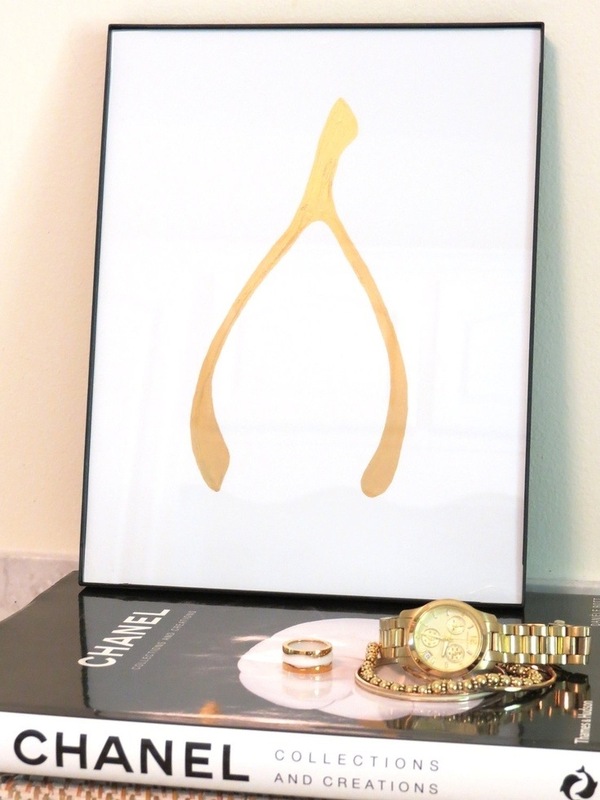 This unique, hand painted wishbone art print by Jennifer Latimer my absolute favourite! It’s so simple yet so amazing. Frank would love it… adding another “bone” to the collection. A little French flair? Yes please! 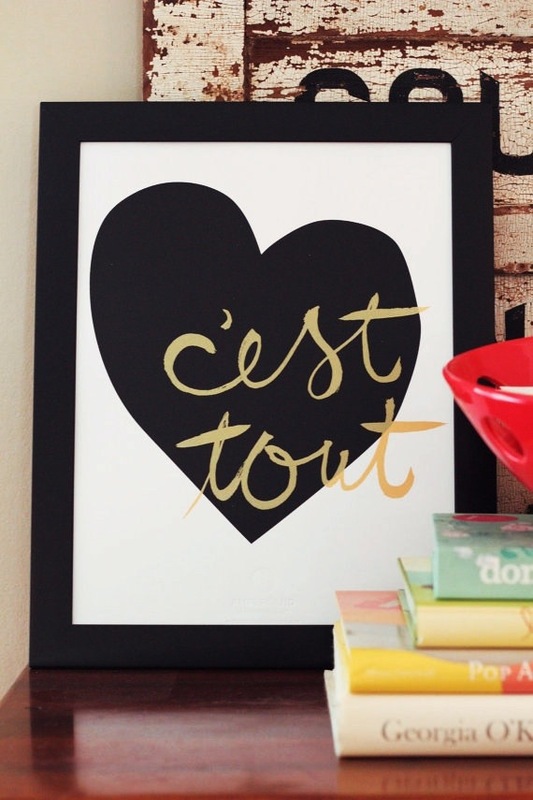 In French, Cest Tout means, “it’s everything” and the combination of the heart, as translated by the designers at Ampersand Shop means “It’s Everything Love”. Love it! Another French fab print. 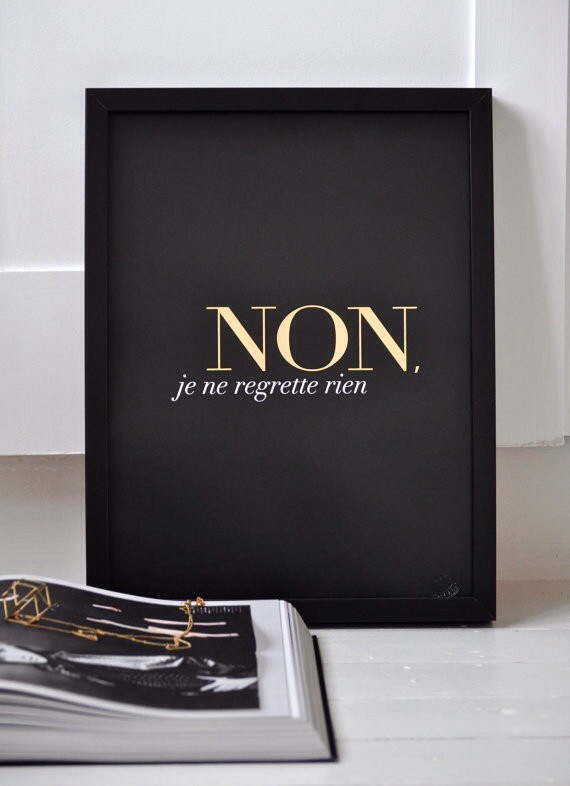 This one by Sarah and Bendrix means “no regrets”. I really like the black background and gold print. 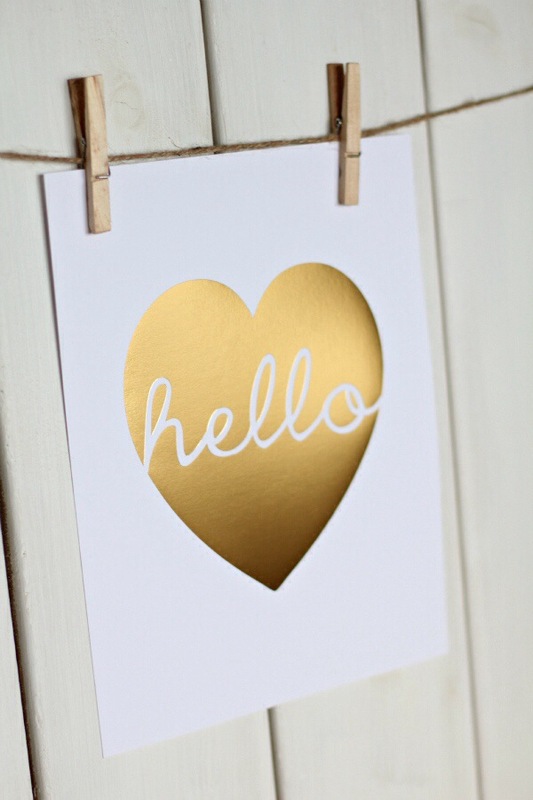 Although this one doesn’t have that gold foil and metallic finish (since it’s a DIY print), I do still love it and especially the quote from My Little Print Shop. 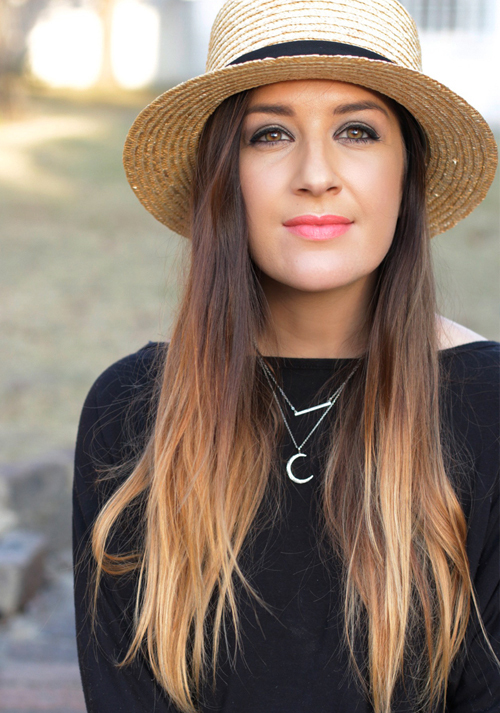 Simple yet striking. 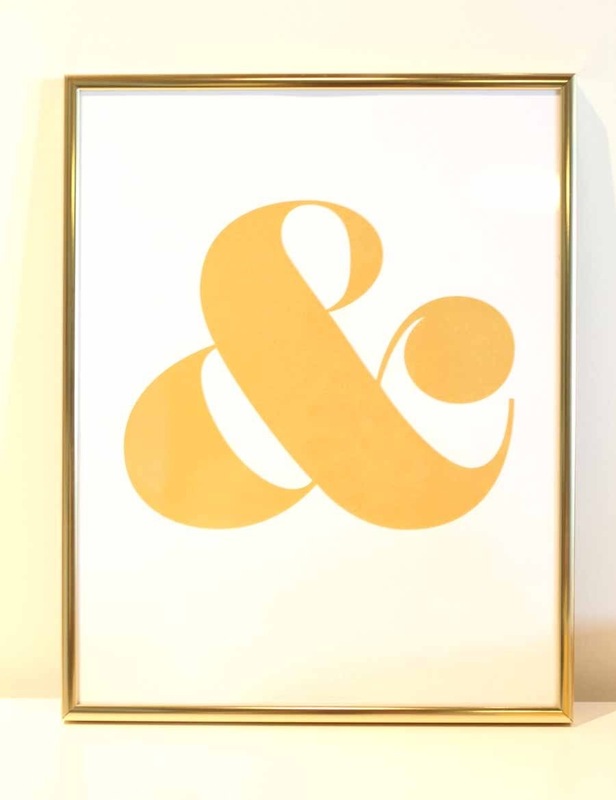 Love this Ampersand screen print from the Amperstand Shop on Etsy.